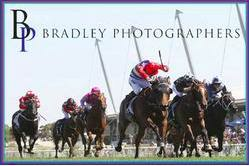 Kim Waugh Racing Stables :: Busy Weekend of Racing at Rosehill and Newcastle! Busy Weekend of Racing at Rosehill and Newcastle! The stable is on track for a big weekend of racing with three runners at Rosehill on Saturday and four at Newcastle on Sunday! Talented mare Newsfan heads the team for Rosehill to run in the BM 78 over 1300m with apprentice Sam Weatherley aboard! The daughter of Zoffany was most impressive when winning first-up and looks well-placed again on Saturday! 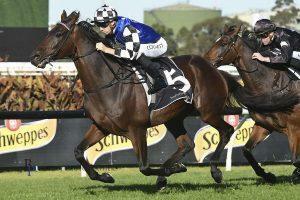 Exciting to see the talented stayer Our Century resume in the 1900m Open, having not raced since May this year. His two recent 1200m barrier trials indicated he has returned in great order and although he will no doubt take plenty of benefit from the run, his class will take him a long way! His winning rider Jason Collett takes the ride. Oxford Poet looks like getting a lovely run on pace in the 1400m Open with Tim Clark aboard. The handsome big boy is stepping up from the 1100m journey first-up to 1400m and will no doubt give a bit of cheek out in front! At Newcastle on Sunday King Hewitt lines up in the $50,000 heat of the Spring Provincial Series over 1500m with Jay Ford in the saddle. The son of Star Witness finished a close up 4th first-up and looks very well suited with the step up in trip. City of Love also impressed first-up with a fast-finishing 3rd and she too should be around the money in the 1400m maiden with Jay Ford to ride. Fuchu and Oxford Angel finish the day for the stable in the last race - a BM 64 over 1200m!